IPG’s 100% Safety record in Australia and New Zealand was a contributing factor in having the age reduced to 12 years. 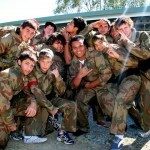 Prior to this recent announcement, IPG has been providing safe and memorable Paintballing days to customers aging from 10 years old in South Australia and 12 years old in Western Australia. 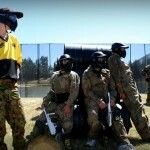 It is exciting to see the NSW Paintball industry join their fellow Australian states. Early indications suggest the legislative changes will take many months to be completed and these changes are said to be likely to take effect in late 2018/early 2019..
For more information please contact International Paintball Group or view the AUPBA Press Release here.